These days, my morning routine has changed. It’s not uncommon for my first conversation of the day to be with the Amazon Echo’s digital persona, named Alexa, rather than my wife or 7-year old. I walk into the kitchen and say, “Alexa, good morning.” I get a pleasant (albeit marginally creepy) good morning in return. Then, with a few quick words, my wife and I can get the weather, news and traffic updates, add coffee to our weekly shopping list (stored through the Echo app). My 7-year-old can get math and spelling help. I can set calendar reminders, get recipe tips and so much more. On the surface, the Amazon Echo – and Alexa – aren’t much in the hardware department. The device looks great, but at the end of the day, it’s just a high-quality Bluetooth speaker with WiFi integration. Pretty, but dumb. For one of the first times, I love a product more for the power of its back-end functionality than its interface. In fact, its interface is almost non-existent, and I think we’re going to see many more digital products that are built without the highly visual design that we’ve grown accustomed to using. We’re starting to hear interesting chatter about Zero UI or invisible interfaces, and it’s an interesting shift for an interactive designer like myself. For years, UX strategists have focused on the front-end experience of a digital product. Obviously, a product needed a robust back-end to function, but designers have primarily focused on how the product looks and makes a user feel. Alexa marks a shift in this. For one of the first times, the core of the user experience is delivered on the back-end through cloud computing and Amazon’s robust server arrays. Echo doesn’t need to look pretty or have a ton of brains tucked away behind its speakers – it just needs to hear me clearly and deliver the information I need. 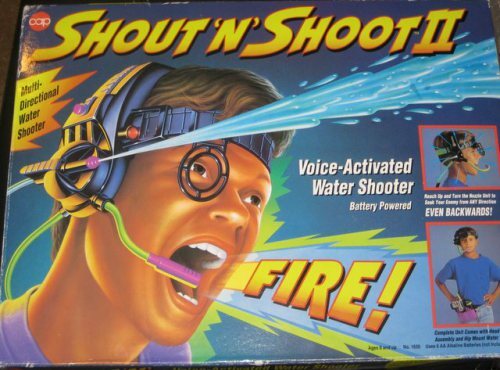 Voice recognition and command have been around for a long time (I have distinct memories of a cousin bringing a voice-activated headset to water-gun fights), but it’s only recently that voice has felt like a feature that can actually make people’s lives easier. Currently, the digital products we build typically have screens or other visual interfaces. As technology advances to build experiences that rely less on visual input, how will designers need to evolve to create engaging digital products? Luckily, we already have our answer. The tenets of user experience design still hold true, no matter what form a digital product may take. Our toolkit may shift away from Sketch and Illustrator, but UX design has always been about building a product in whatever fashion best resonates with the intended user. User experience is just that: an experience. Experiences are built on our senses – touch, smell, taste, sound and sight. For obvious reasons, web UX has been largely limited to the visual. Products, both digital and physical, are starting to offer experiences that aren’t limited to a single sense. The Apple Watch and new Macbook Pros feature haptic feedback (that feeling when your touchscreen vibrates to recreate the feeling of pressing a button) to give impact to clicks. Upcoming virtual- and augmented-reality devices like Oculus Rift and HoloLens blend senses to design truly immersive experiences. Microsoft HoloLens in action with Minecraft. Products like Echo show that designers have a whole new world to play with when delivering memorable experiences. Many designers have felt trapped designing experiences for the million screens or interactions in our users’ hands, but I think we should feel more free than ever. As UX design opens to new frontiers and senses, designers will be free to create the best interaction across any medium as the product calls for it. Echo and Alexa show that back-end design can deliver incredibly powerful, minimally visible front-end experiences, and I’m sure we’re only seeing the beginning. While digital products and experiences will continue to be defined by the visual interfaces we create, designers will increasingly have to think beyond the visual and take a holistic approach to digital product design. I hear good things in our future.